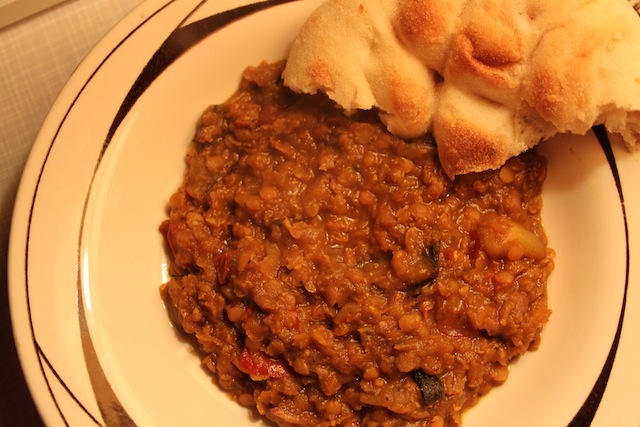 Every Kitchen Gets a Post: Ethiopian Lentils – Eat Me. Drink Me. In my new home, we have a tablecloth. 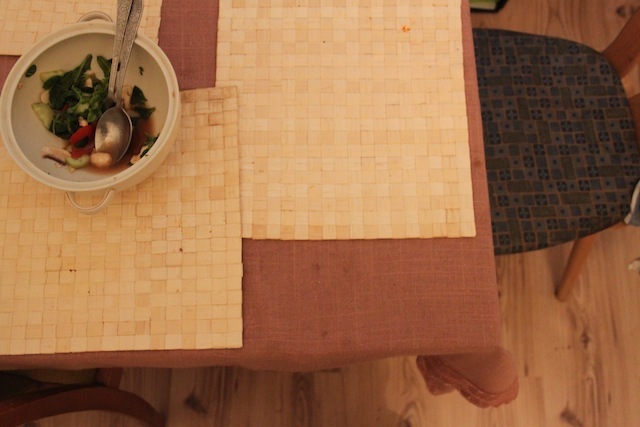 It is a dusty pink tablecloth and on top of it are placemats upon which we eat. Our china is rimmed with roses. Our mugs match. At last, I think, I have arrived. In the last three years I’ve had five different kitchens, and I’ve written about most of them. First there was the Davidson kitchen where this blog began, and my ever-recurring ancestral home’s blue-walled affair. There was the first kitchen in New York, which was tiny – enough counter space only for the mice. Then there was my second kitchen in New York, which stood unused for a long time while we were too busy battling bed bugs to cook. There was the kitchen in Berlin, shower beside the stove. And now there is my new kitchen. Where we use tablecloths. We are three women in my new kitchen, and of course the tablecloth may have something to do with that. Which is not to say that men don’t care for tablecloths. Just that, well, I don’t think they do. Normally I’d balk at the idea of living with only women. There’s too much estrogen. Too much makeup, too much body lotion, too much bickering and gossip about boys. But my new little Neukölln apartment is different. It has a good feeling, something I sensed the first time I went to see the place – calm, relaxed, communal. The kitchen is our shared space. 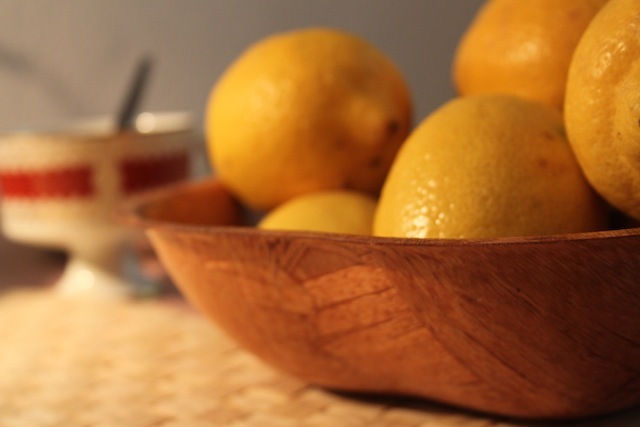 There’s always someone in it – reading the newspaper, doing the dishes, cooking something. It’s also the first time I’ve lived somewhere where there’s an absolutely effortless attitude about food and sharing it. Whoever’s cooked, cooks for whoever else is home. But it’s not as stressful as being required to cook for everyone. It goes more like this: someone cooks, someone walks into the kitchen, food is shared. Unobtrusively, casually. Last night, I made Ethiopian lentils in order to use up the last bits of vegetables from the fridge. A friend was over for dinner, so I was already making a bit more than usual. But lentils are one of those things that expand, like hot air balloons and lies. My roommates wandered in and out of the kitchen – to chat, to prepare lunch for the next day, to make a cup of tea. And when the lentils were done, there was more than enough to share, and I fed them, just as they have fed me. Heat oil in a skillet and when hot, add onion. When the onion is translucent, add chopped eggplant and cook until eggplant is soft. Add yellow pepper, mushrooms, and prunes. Season with salt, pepper, berbere, turmeric, cumin, and Jamaican jerk seasoning. Cook until vegetables have softened. Add quick-cook red lentils and just cover with water. Stir in tomato paste and cover skillet with a lid. Turn heat to medium-low and simmer, stirring occasionally, until lentils are cooked. Serve with freshly crumbled feta.